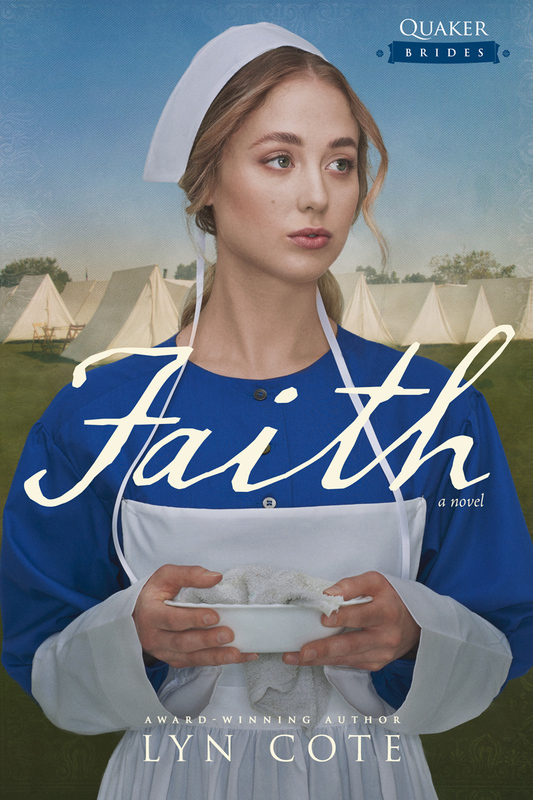 in 1862 with "So you're the little woman who wrote the book that started this great war." 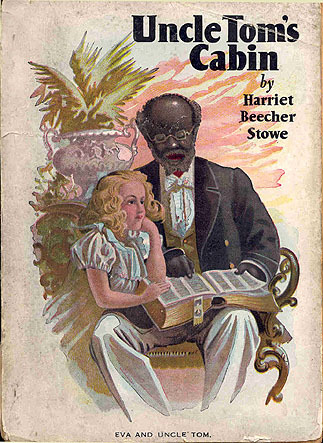 Whether the story is true or not, the sentiment underscores the connection between Uncle Tom's Cabin and the Civil War. The quote did not appear in print until 1896, so you can decide for yourself. 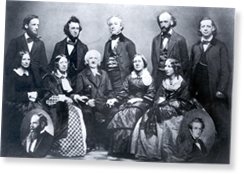 The Compromise of 1850 is said to have sparked author Harriet Beecher Stowe’s decision to write this novel. 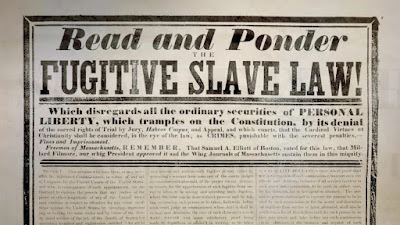 Enacted September 18, 1850, the Fugitive Slave Act of 1850 required federal judicial officials in all states and territories, including in which slavery was prohibited, to actively assist with the return of escaped slaves to their masters. 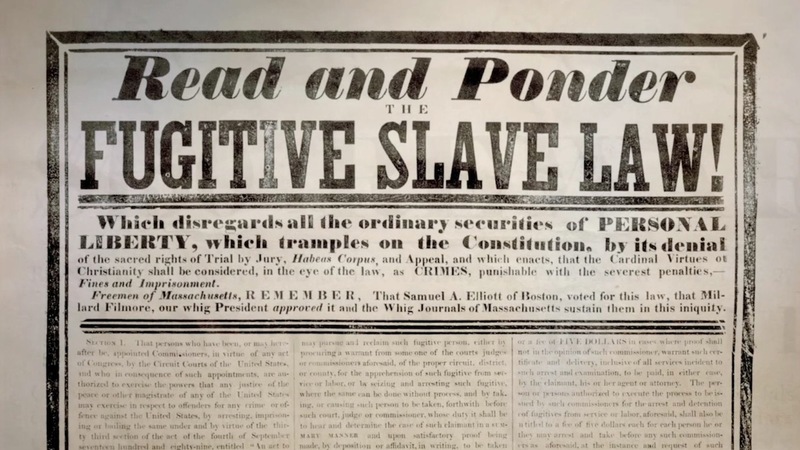 Law-enforcement officials everywhere in the United States had a duty to arrest anyone suspected of being a fugitive slave on no more evidence than a sworn testimony of ownership. The suspected slave could not ask for a jury trial or testify on his or her own behalf. Any person aiding a runaway slave by providing food or shelter was to be subject to six months' imprisonment and a $1,000 fine. In addition to federal officials, the ordinary citizens of free states could be summoned to join a posse and be required to assist in the capture of an escaped slave. This law made it possible that if a freedman were claimed to be an escaped slave, he or she could not resist his or her return to slavery by truthfully telling his or her own actual history. The critical and very unpopular provision was that ordinary citizens were required to aid slave catchers. Many northerners deeply resented this requirement that they personally aid and abet slavery. I would say that the Compromise of 1850 supplied the kindling and Harriet’s book lit the fire that brought the end of slavery. Up until Uncle Tom’s Cabin, the average Northerner disapproved of slavery but did not push for its end. Now they could no longer stand on the sidelines. They had been drafted into supporting slavery. And the novel portrayed slavery with people Northerners could identify and sympathize with. And when the book was made into a popular play that toured the country, the anti-slavery sentiment cast a wider net. 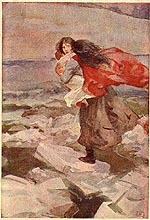 Eliza is crossing the ice-crusted Ohio River to freedom. America has had other books that have urged social changes. Another example is Upton Sinclair’s THE JUNGLE which portrayed an immigrant family working in the Chicago Stockyards. This book caused a public outcry about food standards and working conditions. Americans, it seems, need to see issues in the context of people and their lives in order to call for change. 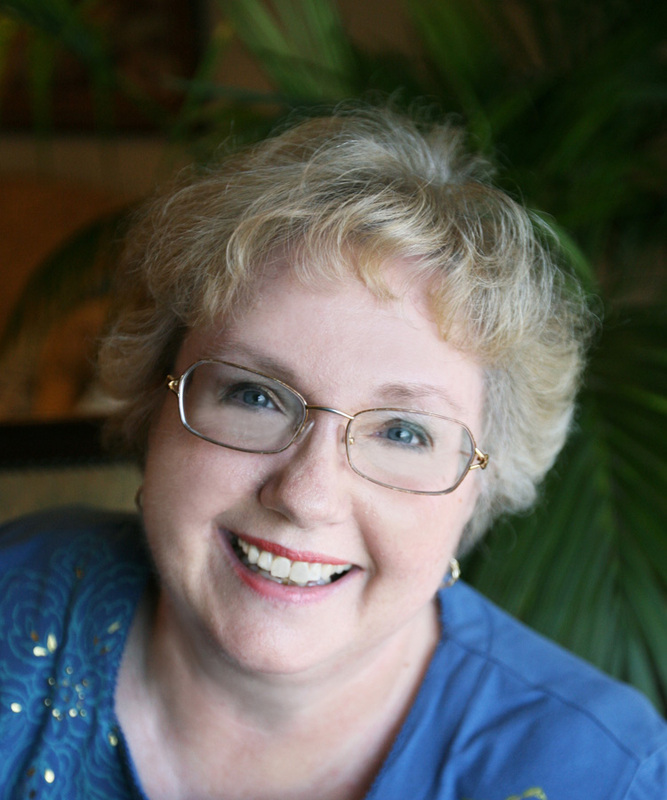 Thanks for the blog, Lyn. I love Harriet's story, which I also wrote about in my book, Great Women in American History. She and her sister Catherine were trailblazers for sure! Thank you for sharing this interesting post, Lyn! It's good to be reminded that fiction can make a difference in our nation. Right now we need a good book to portray how the foundations of this great country are being chipped away in the name of tolerance and progressivism! Would that God would raise up such a writer. Thanks for sharing. Lyn, thank you for your post. It's a great reminder that as we develop our fiction stories they have a greater influence for change than we can imagine. Thank you for once again calling attention to this important time in our history. I live about 18 miles from Washington, KY and it had been told that Harriet witnessed a slave auction there and was motivated to write this classic novel. Our area is also known for it's activities regarding the Underground Railroad.